Can Nawaz Sharif Outfox Pakistan's Army and Stage a Comeback? Nawaz Sharif and his family are being punished for taking on the army. With elections around the corner, they have now returned to Pakistan to try and outmanoeuvre the establishment and rehabilitate their image. Note: This article was first published on July 11 and has been updated to include the news of the return and arrest of Nawaz Sharif and his daughter. 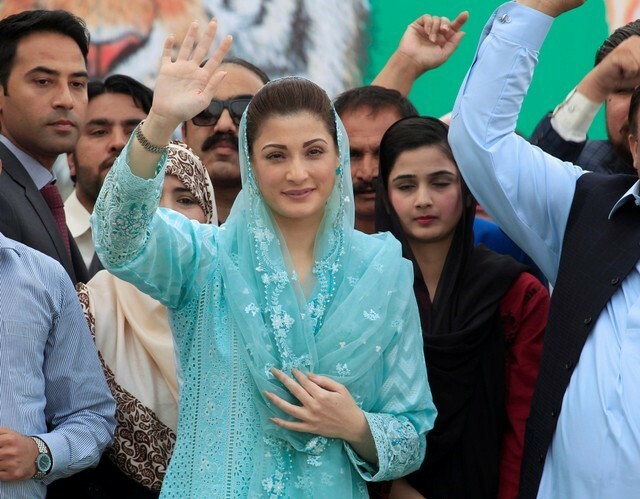 Pakistan’s three-time former Prime Minister Mian Mohammad Nawaz Sharif, his daughter Maryam Nawaz Sharif and his son-in-law Muhammad Safdar were sentenced to prison terms for impropriety in the ownership of certain properties in the United Kingdom. On July 13, Nawaz and Maryam returned to Pakistan and were immediately sent to jail. The case against the Sharifs is a curious one, where Pakistan’s National Accountability Bureau (NAB) was not able to prove any graft or outright corruption against the family, while the defendants were unable to convincingly show the trail linking the ownership of the properties to the source of the funds used for their purchase. The court based its decision on a presumption that the inability or unwillingness of the accused somehow proved that production of such materials would have hurt their cause. Notwithstanding the potential siphoning of money from Pakistan to the UK in the 1990s by the Sharifs, the conduct of the case was blatant political victimisation. Those who have watched Sharif and Pakistan’s political trajectory over the past 30 years know that the PML leader started off as the protégé of military dictator Zia-ul-Haq in the 1980s. While his family already had a well-established business, their fortunes multiplied exponentially after his rise to power, first in the Punjab province and then to the central high office. It has been common knowledge that the former PM and/or his family have held properties in London since the days he was tight with Pakistan’s military establishment. What has become clear now is that so long as one remains in cahoots with the country’s powerful army, one is untouchable. But the moment one falls out of favour or disagrees with the army, one gets nailed for the crimes one may or may not have committed. Sharif is not being punished for owning an estate beyond his means but for punching above what the army thinks is his political weight by taking it on directly. 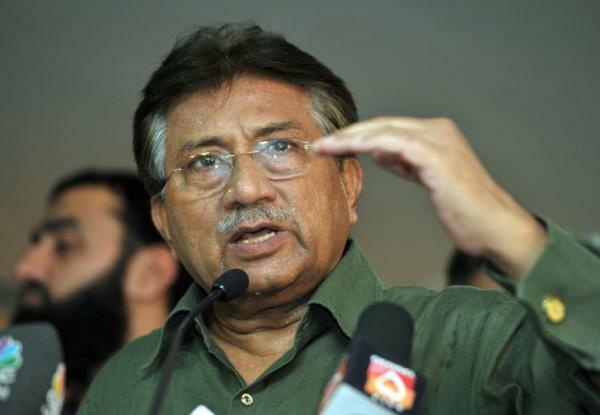 His original sin was not amassing a fortune, but challenging the army’s political fortunes, which he did first in 1999 by sacking the adventurist General Pervez Musharraf and then for prosecuting a treason case against the latter in 2013 for his 1999 putsch. Soon after Sharif’s government opted to bring the former dictator to book, it became clear that the army will not only trip him every step of the way, but also actively hound him. The army thought of Sharif as their underling who had become too big for his shoes and had threatened them with making public an inquiry report on the Kargil debacle and had gone above their heads to mend fences with India. The army’s Inter-services Intelligence Directorate (ISI) first orchestrated a political upheaval against Sharif in 2014 and brought together the cricketer-turned politician Imran Khan and religious zealots led by the firebrand cleric Tahir-ul-Qadri to besiege the federal capital in an effort to topple the Pakistan Muslim League-Nawaz (PMLN) government on the pretext of election rigging – a year after the 2013 elections. At the time, the other opposition parties sided with the PMLN and the army-Imran-Qadri bid was thwarted. The present case was a lucky break for the army aided by the release of the so-called Panama Papers. The former PM’s children were named in the leaked information for holding off-shore companies to manage their businesses and properties, but he himself wasn’t mentioned. The Supreme Court of Pakistan (SCP), shelving due process, turned itself into a trial court and took up the Panama Papers against Sharif. By inverting the legal system on its head, the SCP, therefore, denied Sharif his constitutional right to graduated appeals from the lower to the superior judiciary. Despite its aggressive witch-hunt, the SCP did not find any evidence of wrong-doing but nailed Sharif nonetheless on a flimsy charge of not declaring his potential income. However, what the SCP – acting in all probability on a nod from the army – had done was to stack the legal deck against Sharif. A year ago, the SCP had declared him guilty of being dishonest and therefore unable to hold a public office. The case was subsequently sent to the accountability court, with the SCP anointing itself as the minder of the lower court. Anyone familiar with the Pakistani judiciary knows full well that the chances of a lower court going against the verdict of the highest court of the land, are slim to none. The NAB verdict, therefore, was a foregone conclusion. The country’s history shows that anyone who has opposed a military regime or diktat has faced terrible prosecution and persecution while both the military men and their civilian collaborators have gone scot-free. Pakistan’s first law designed to nail political opponents was the Public Representative Officers Disqualification Act (PRODA) of 1949. While some politicians came under that dragnet, the more vicious regulation was enacted by the country’s first military dictator, Field Marshal Ayub Khan, who promulgated the Elective Bodies Disqualification Order (EBDO) in August 1959. Dozens of opposition leaders were debarred from participating in political activities for eight years under this order. The foremost politician to get “EBDO’d”, as the then Pakistani press dubbed it, was the Bengali leader Huseyn Shaheed Suhrawardy. This vision was in stark contrast to the army’s plan for Pakistan, stated formally by the dictator Ayub Khan in the same publication. The army under Ayub Khan saw Pakistan as an ideological state at conflict within – against the religious and ethnic minorities – and at war without, against India. The incompatible views from each side of the civil-military divide have persisted since. Even the meekest of elected prime ministers have tried to prevail over the army, while the latter has toppled every single one of them either directly or with the help of judiciary and/or civilian bureaucracy. No prime minister has completed his or her term in Pakistan, ever! Sharif, who is quite economical with words, had tried to put in practice what Suhrawardy had stated so articulately. And that was enough to earn him the army’s wrath. 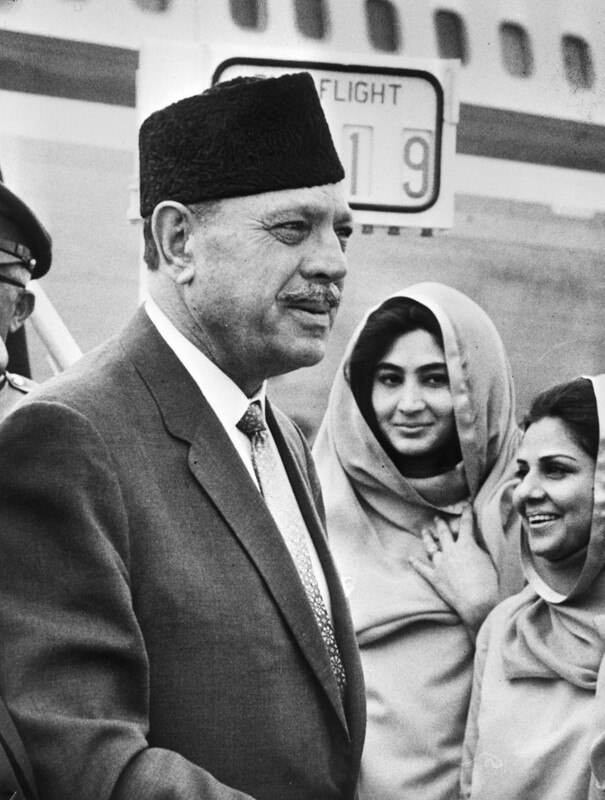 Pakistan’s first military dictator, General Ayub Khan. Credit: Wikimedia Commons. What makes this so-called accountability particularly lopsided is that none of the army generals, their progeny and their quislings have ever been brought to book for financial or political corruption. Take, for example, the case of Ayub Khan. His father was a risaldar major – a junior-commissioned officer (JCO) in the British Indian army – with paltry land holdings – but his children are counted among the richest of Pakistan. Another military dictator Zia-ul-Haq’s father was a British Army superintendent in Delhi, while his children too are part of the elite today. ISI director General Akhtar Abdur Rahman, who along with Zia plunged Pakistan into the jihadist morass against the Soviet Union, was of humble origins. His children today own large business houses in Pakistan. Similarly, politicians like former prime minister Chaudhry Shujaat Hussain – whose father was once a police constable – and who himself was implicated in a cooperative banking scam in the 1990s, have remained unscathed thanks to continued collaboration with the army. The ex-army chief Ashfaq Parvez Kayani’s brothers were implicated in a land fraud; their father too was an NCO. More recently, serving army officers like Brigadier Asad Shahzada, General Obaidullah Khattak and General Ejaz Shahid were let go after a rap on the knuckles despite pocketing billions through smuggling and extortion in the restive province of Balochistan. The point is not that people cannot rise and break class barriers, but the rags-to-riches road of all the military men went through high office. The simple issue is that no Pakistani objects to accountability if it is transparent and across the board, but there cannot be one yardstick for the army and its collaborators and another for those who oppose the army’s political role. The reason the Pakistan army has been able to get away with every single one of its declared martial laws and undeclared coups is that it has never been formally trounced in a civil-military political standoff. There was a massive political campaign against the first dictator Ayub Khan, but he was only ousted after he developed ill-health and was forced to step down by the second tin-pot dictator, General Yahya Khan. Yahya Khan presided over the East Pakistan debacle, but left office only after a rather uneventful but nominal transition of power to civilians. The third dictator, General Zia-ul-Haq was blown to smithereens mid-air by unknown forces and despite a decade-long Movement for the Restoration of Democracy (MRD), the transition to civilian rule came about only after his demise. Similarly, the fourth military dictator Pervez Musharraf was forced to quit office by a protest movement but not without receiving a final guard of honor! While civilians and the army have faced off multiple times, the former have not been able to bring the latter down through street power, hold it accountable through parliament and charge it formally through the judiciary. Sharif tried to change that equation by pursuing the latter approach, but failed as roping in the army requires all three manoeuvres in tandem and concert. He mobilised the street after-the-fact and never used parliament as an avenue to curtail the army’s unconstitutional interventions in pursuit of political power. The army, on its part, has managed to retain its praetorian powers by both brute force and playing politicians against each other. On the eve of Pakistan’s next general elections later this month, Nawaz Sharif and his party stand severely maimed by the NAB verdict. While the battle-lines are already drawn and few, if any, swing voters would change their views at this stage, the army has worked in overdrive to gag conventional and social media and force Sharif’s loyalist candidates to switch sides. The army has gnawed away at Sharif’s religiously conservative support base or sought to neutralise it by introducing all shades of religious zealots, ranging from the Barelvi fanatics to Deobandi sectarian terrorists to the transnational jihadists a la Jamat-ud-Dawa, as legitimate political parties. Nawaz Sharif’s primary political rival, Imran Khan, has the army’s tacit support and has benefitted immensely from the media censorship. This massive political engineering and media management has been underway for months, indicating that the army has no intention of losing this fight. It appears that they wish to see Imran Khan get elected to high office, even if takes polling-day manoeuvring. But they have been there and done that before. In 1988, the army had tried its level-best to keep Benazir Bhutto out of power by cobbling together a rainbow coalition of right-wing forces led, ironically, by Nawaz Sharif. However, they were unable to defeat Bhutto due to her immense popularity and an unwavering support base. The difference now is that in 1988, Zia-ul-Haq had just perished in an air-crash and the army was not as ascendant as it is today. Benazir was able to lead a fair election campaign, drawing massive crowds. Despite the verdict, Sharif remains quite popular, especially in his home base of Punjab. His return to Lahore has the potential to throw a massive spanner in the army’s works. Part of the army’s calculation was that Sharif and his daughter, who is quite outspoken in her criticism of the “unseen forces manipulating things in Pakistan for 70 years”, would stay away after such a damning verdict. Sharif and Maryam Nawaz have the capability of energising their voter base and making a dash for the elections on July 25. However, the army-judicial complex will try its best to impede them. There is a faction of the PMLN, led by Sharif’s younger brother Shehbaz, which wishes to mend fences with the army and for that purpose wants to keep the father-daughter duo out of country and out of politics, at least until the elections. An electoral victory is a prerequisite for Sharif’s legal and political rehabilitation. If Sharif and Maryam Nawaz can surmount the internal party challenges, secure bail from a superior court and get back on the elections/protest trail, they may be able to give the army a run for its money. Mohammad Taqi is Pakistani-American columnist. 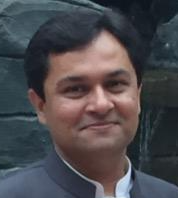 He can be followed on Twitter @mazdaki.